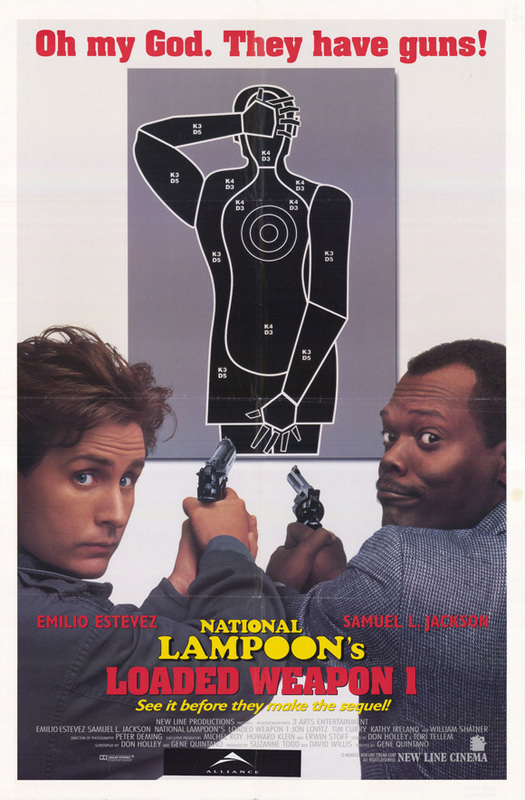 What It’s About: Mismatched L.A. cops Jack Colt (Emilio Estevez) and Wes Lugar (Samuel L. Jackson) must foil General Mortars (William Shatner) plan to distribute cocaine in “Wilderness Scout” cookies in this parody of late 1980s/early 1990s cop movies. Why Watch it Today? : Juliette “Daisy” Gordon Low assembled the first 18 Girl Scouts today in 1912 in Savannah, Georgia. We all know there is SOMETHING that makes those cookies irresistible (my brother used to buy two cases of Tag-a-Longs from my sister and jealously guard them back in the day), and Loaded Weapon 1 turns that basic idea into a decent, if not great, parody of the over-the-top cop films of its era, particularly Lethal Weapon. The fine supporting cast and not-yet-a-star Samuel L. Jackson almost make up for Estevez and model-turned-non-actress Kathy Ireland. This entry was posted in Action, Buddy Flick, Comedy, Cops, Movie of the Day, Slapstick, Spoof and tagged Bill Nunn, Bruce Willis, cameos, cash-in, Charles Cyphers, Charles Napier, Charlie Sheen, children of famous people, Christopher Lambert, Corey Feldman, Denise Richards, Dennis Leary, drug dealers, Emilio Estevez, Erik Estrada, F. Murray Abraham, Frank McRae, J.T. Walsh, James Doohan, Jon Lovitz, Joyce Brothers, Larry Wilcox, maverick cops, New Line Cinema, Paul Gleason, Phil Hartman, Richard Moll, Samuel L. Jackson, Tim Curry, Whoopi Goldberg, William Shatner.